Since the turn of the millennium, Surf Rock has been a crucial influence on the sound of the NYC scene, and two Brooklyn residents (via Chicago and Melbourne) decided to celebrate this genre, in a paradoxical way, directly in their band's name: Surf Rock is Dead only has one track available for streaming, but there's no need to wait more than a few seconds to realize that they don't really mean what they... call themselves. With an approach that's way more pop than rock, the duo follows in the footsteps of sunnily melodic acts like The Drums, although with a more melancholic tinge to their sound - at least in this one song. 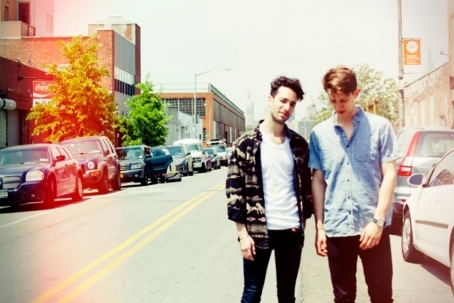 Surf Rock is Dead landed a January residency at Pianos, the next show will be on Januray 22.